It’s called America’s pastime, but it’s also the sport of choice in Cuba. In the spirit of that common language, both MLB stars launched a mission of baseball diplomacy. Each spoke Sunday, Feb. 16, at a clinic the players put on for Cuban youth where they talked baseball. 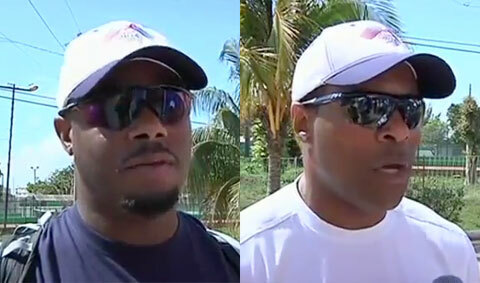 Watch video of Ken Griffey Jr. & Barry Larkin speaking about their mission in Cuba. Playing Field Promotions is a booking agent for motivational sports speakers and celebrities. If you would like to book professional athletes like Ken Griffey, Jr or Barry Larkin for a speaking engagement, autograph signing, guest appearance, product endorsement or special event, contact our booking agent for speaker fees or call 800.966.1380.